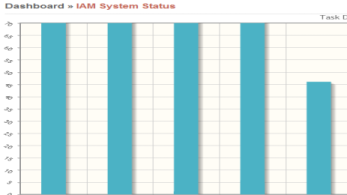 System health analysis is based on IAM Aware business transactions. Ensure a business transaction (service) is functional and available to the end user. SLA management, operational efficiency and reduced total cost of ownership. 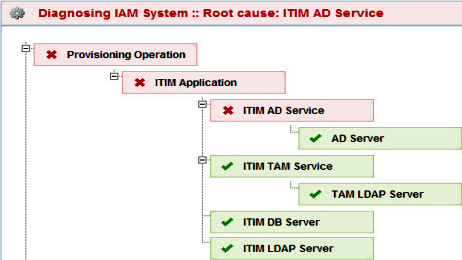 Accurate and efficient root cause analysis using its IAM component knowledge graph. Correlates business transaction and system health metrics. System monitoring data is available for meaningful business analytics. Integral is aware of how components communicate among themselves and with rest of the infrastructure, and builds a component knowledge graph. This component knowledge graph enables it to use different monitoring patterns for each component. Integral has knowledge of relevant components which can affect the availability of the system. Integral’s key focus is to ensure a business transaction (service) is functional and available to the end user. 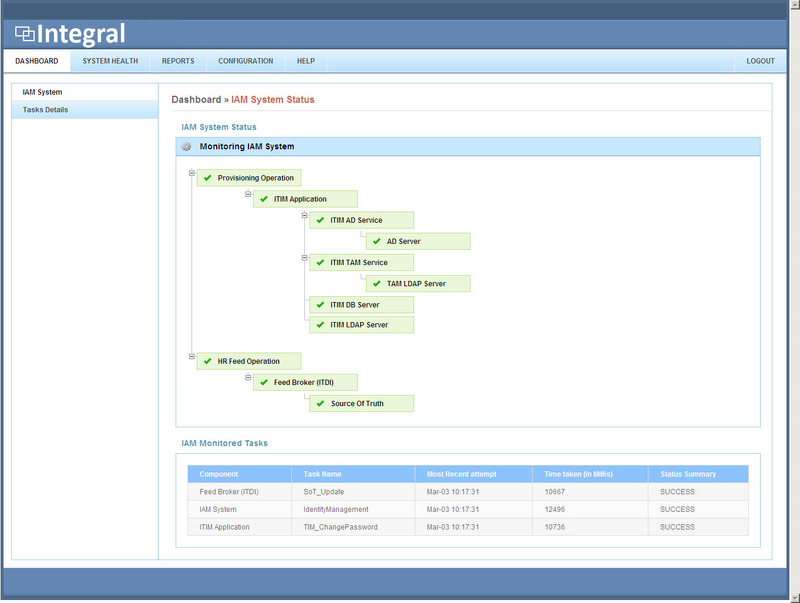 System health analysis is based on IAM Aware business transactions. For each of the business transactions, Integral’s component knowledge graph allows Integral to have derived system health status and much smarter IAM component diagnostics. Integral performs accurate and efficient root cause analysis using its component knowledge graph thus significantly reducing system downtime. It identifies unavailable components and impacted services on a component failure. Being IAM Aware, Integral captures IAM domain specific parameters from each of component for health analysis. System health metrics are compared against set of pre-defined baselines for proactive and predictive health analysis. Integral correlates business transaction and system health metrics for fault analysis and proactive alerts. Results of the analysis performed by Integral is structured and persisted for meaningful business analytics. Availability of IAM Services is crucial for business continuity as business processes are increasingly dependent on them. Confluxsys’s Integral increases availability of IAM services by avoiding and minimizing system downtime thus helping with SLA management, operational efficiency and reduced total cost of ownership.